This focal wall in a bedroom featured by HGTV.com stopped me in my tracks! 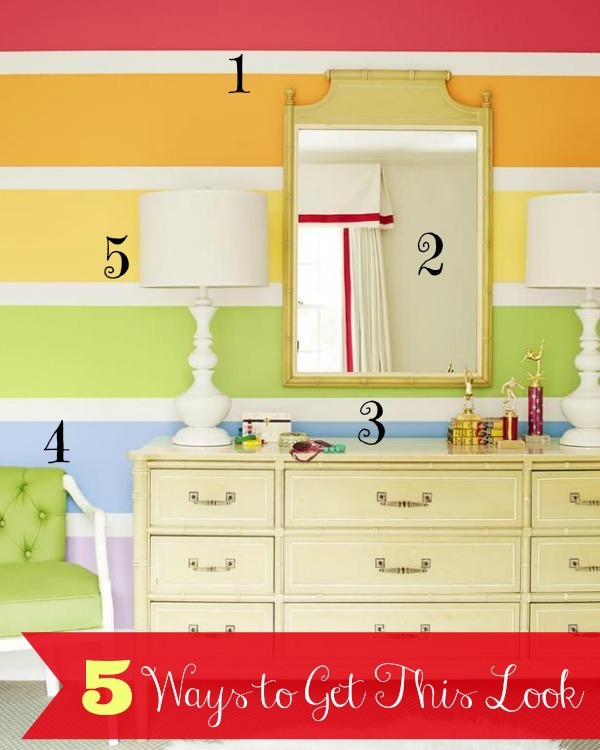 How can you not take a second look at that fun rainbow striped wall? The striped wall, the bright colors, the refinished furniture–it’s all stuff I love. So of course I had to look for some DIY tutorials to help you achieve a similar look for less.